See for yourself! View our product demonstration video. 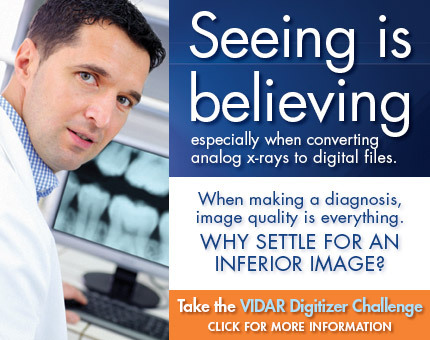 VIDAR Systems Corporation, the worldwide market leader in medical film digitizer technology, is proud to present its newest innovation – the Dental Film Digitizer – specifically designed for scanning analog dental film. Dental professionals can now create medical quality digital images for primary diagnostic purposes from dental x-ray films. 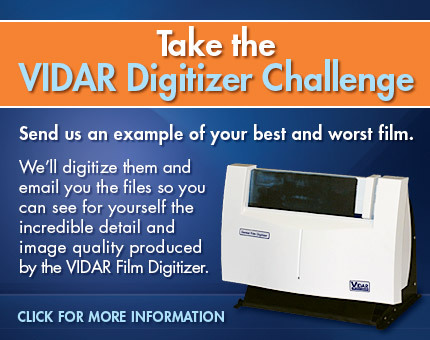 See what customers are saying about the Dental Film Digitizer. *Assumes viewing & archiving system follows regulatory guidance for primary diagnostic applications.